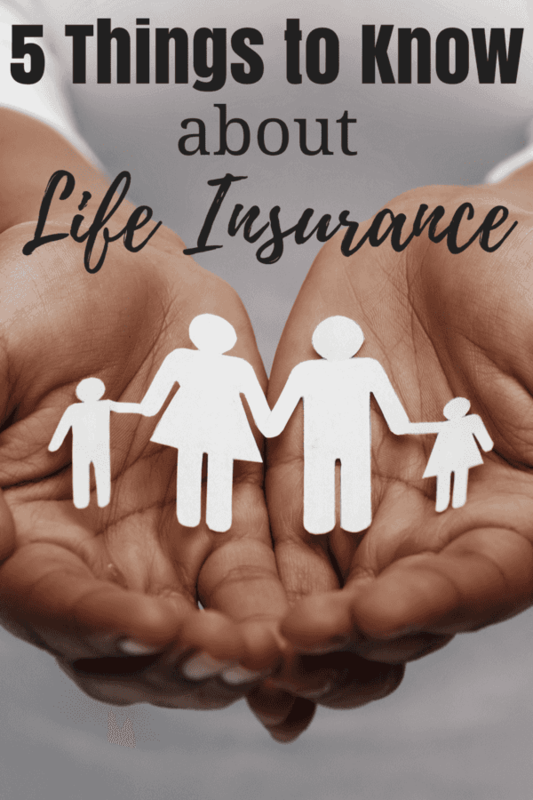 One of the biggest foundations of Personal Finance is life insurance – in fact, I think every household should at some point consider having it. And although I’m not a personal finance expert, I would vouch to say that at least for MOST households, it’s necessary. Vital. Yet with time, I see so many that are confused by the idea. Perhaps in denial that it is needed at all. Many are just turned off by the whole idea of being approached about the subject. I even have family that don’t want to talk about it…. and in reality, we are just concerned about making sure they are taken care of. Deep down I think that confusion is simply a lack of understanding, perhaps just the idea of talking about that entire subject is not appealing to most. .. and eventually you run into a problem where you wish you would have thought about it before something happened. Given the number of Go Fund Me requests and Car Washes that I personally see filter through my Facebook Feed each week, it’s definitely something that everyone needs to consider – sooner versus later. And that necessity isn’t just for the breadwinner – it’s also something to consider for your spouse (who may stay home) and your children (in the form of a rider) – I have so many friends that pay insurance on their car(s), but when it comes to their life, they haven’t made it a priority. Is your car really more important than your life? The lives of your children? Your financial well being? The biggest question: Do you NEED Life Insurance? We can answer that with ONE statement: If ANYONE relies on you financially, you need life insurance. It’s your responsibility to take care of your family – I would even go on to say, if someone relies ON you, you need life insurance. And we say this because many Stay at Home Moms assume that because they may not contribute financially, that they don’t need it. They need it JUST as much as their spouse who may be bringing in a full time income. That life insurance will pay for the day to day care of those children, should they need to go to daycare. It gives you peace of mind in a sense that you may be able to pay for help until you get back on your feet – help in the form of house cleaning, home care for your children, and more. Here are 5 things you need to consider if you don’t have life insurance. #1 Life Insurance is Needed for anyone who relies on you whether it be financially or in some other form. If you are retired or financially independent, and nobody would suffer financially if you passed, then you may NOT need it. But otherwise, it’s going to help those people (partner, children, siblings, business partner) be able to carry on with their lives and not be impacted financially. #2 – Life Insurance is more than just money. It takes care of the financial implications with your passing – or the loss of life as a whole. That includes everything from lost income, outstanding debt (including mortgage), final expenses and more. It can also bring peace of mind for the person who is the policyholder – it’s essential for the bread winner but it is ALSO just as important for the spouse that stays home. #3 – Life Insurance is NOT an Investment. In many cases there are better tools for investments than placing your options in life insurance as a tool. Life insurance is more of a risk management tool than it is anything else. This comes into play more when you start getting into the different types OF life insurance (because there are SEVERAL) – and they all work fairly differently. Talking to a professional is the best way to find out what is best for your family (I recommend going this route). Term is simple, costs less in most cases, and is a set time period (25 – 30 years). Since it is usually less, it allows you to invest the difference in a fund that will allow you to offset the need for that term policy at the end of the term (hence the saying “Buy Term, Invest the Difference”. It’s a GREAT option If you can be disciplined enough to actually INVEST that difference. There are also permanent forms – which include a savings mechanism. Whole life, Variable life, and Universal life are all options that have an investment component attached, each work slightly different. #5 – Determining the Policy can be Complicated. Not only do you have to determine between Term OR Whole Life, deciding how much is needed. It’s important to considering how much you would need to replicate the person’s income for a term as long as the household expects to need that income. Is it necessary to buy life insurance on children? Only you can make that decision – For most people, a Child Rider is a great option. Our Child Rider was available on our Term Policy and runs us an additional $50 – $60 a year. A Child Rider covers all of our children, with an amount between $10,000 – $20,000 (for each) which takes care of not only burial expenses, but expenses incurred since you will likely need time to grieve (away from work)… and the possible expense from counseling.